going to play in iran soon at 37. LOL. Fantastic tackle which stopped the breakaway attack and allowed defenders time to catch up and get behind the ball. 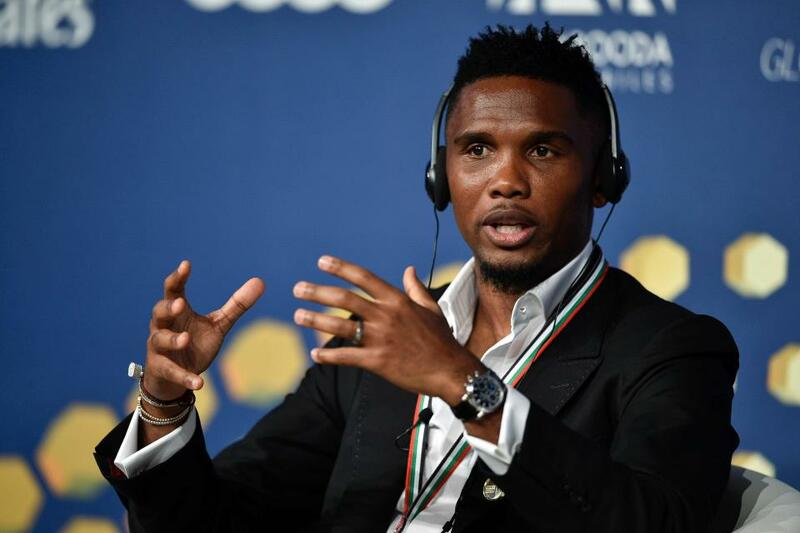 West Bromwich Albion have recently signed a sponsorship deal with UK based boilers manufacturer Ideal Boilers. Albion which play in English Championship started the season on Saturday and unveiled their new mascot at Hawthorns. LOOOOOOOOOL.Here comes the Boiler Man. losing to malaysia is too much for them. LOOOL. That's some friendly match. LOL. He should have invited his old friend Luis Suarez to come over for a bite. LOL. 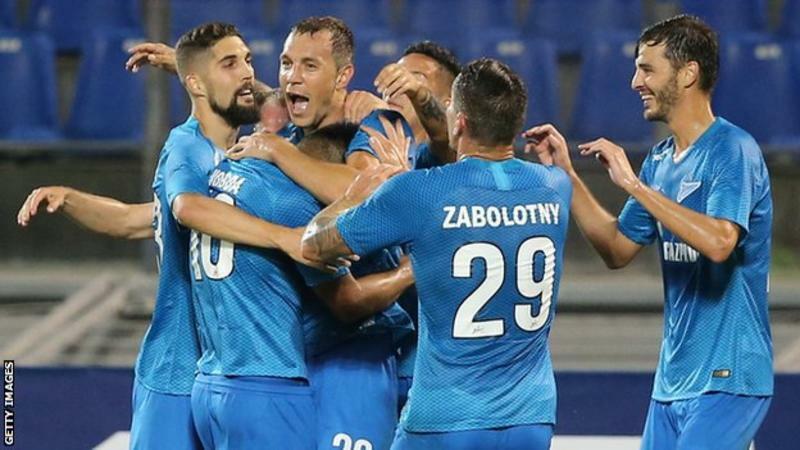 Zenit St Petersburg produced the biggest Europa League comeback in 33 years as they overturned a 4-0 first-leg deficit in astonishing fashion to stun Dinamo Minsk. The Russian side were hammered in the first leg in Belarus and, despite fighting back to lead the second leg 2-0, looked to be heading out when Leandro Paredes was sent off with 18 minutes remaining. But Zenit, who reached the last 16 in 2017-18, responded superbly as Russian World Cup hero Artem Dzyuba scored twice to level the scores at 4-4 on aggregate and take the tie to extra time. Incredibly, there was still plenty more drama to come, as Zenit's hopes appeared to be dashed when Seidu Yahaya scored an away goal for Dinamo Minsk nine minutes into extra time, meaning they led 5-4 and Zenit's 10 men needed to score twice to progress. Argentine forward Sebastian Driussi gave them hope with 11 minutes of extra time remaining, before Dzyuba - scorer of three goals in Russia's run to the World Cup quarter-finals - completed his hat-trick to put Zenit 6-5 up and on course for an astonishing victory. In a game packed full of drama, there was still time for the hosts to score twice more. Robert Mak made it 7-1 on the night from the penalty spot, an award which led to the game's second red card, this time for Dinamo's Maksim Shvetsov. And with 123 minutes on the clock, Mak completed the scoring to make it 8-1 on the night and 8-5 on aggregate. The last time a team overturned a four-goal deficit in this competition - previously the Uefa Cup - was in 1985, when Real Madrid came back from 5-1 down against Borussia Monchengladbach to level the scores in the second leg and advance from their last-16 tie on away goals. Zenit will now face Molde, managed by former Manchester United striker Ole Gunnar Solskjaer, in the play-off round after the Norwegians beat Scottish side Hibernian 3-0 on aggregate. LOOOOL. This happened in Super Cup. Diego Costa giving Ramos a taste of his own medicine. Why are we greyed out in the World popularity map?